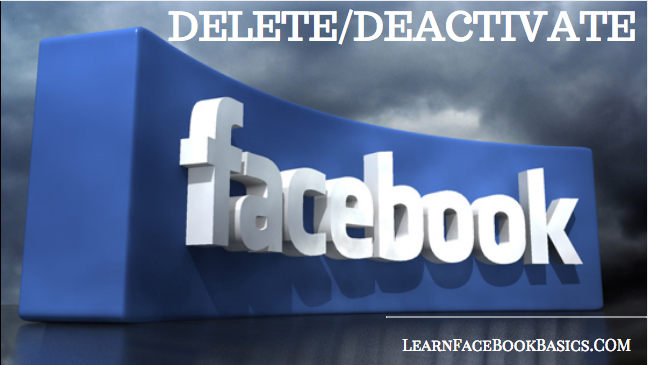 Should you delete or deactivate Facebook account? Learn what the difference between deleting and deactivating Facebook account in this new article. See How to Reset Password on Facebook. I have a old FaceBook account that I want to delete. Cannot delete because as I try it brings me to my active FaceBook account. Hello Denny, to delete your old Facebook account, you need to login to your present account first. Click on it... next, click on it to report that account.